PEUGEOT 4007 BOOT LINERS, designed to be perfect fit with lipped edges. Waterproof and easy to clean. 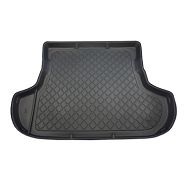 Antislip rubber center mats are fitted standard to all Peugeot 4007 boot liners.